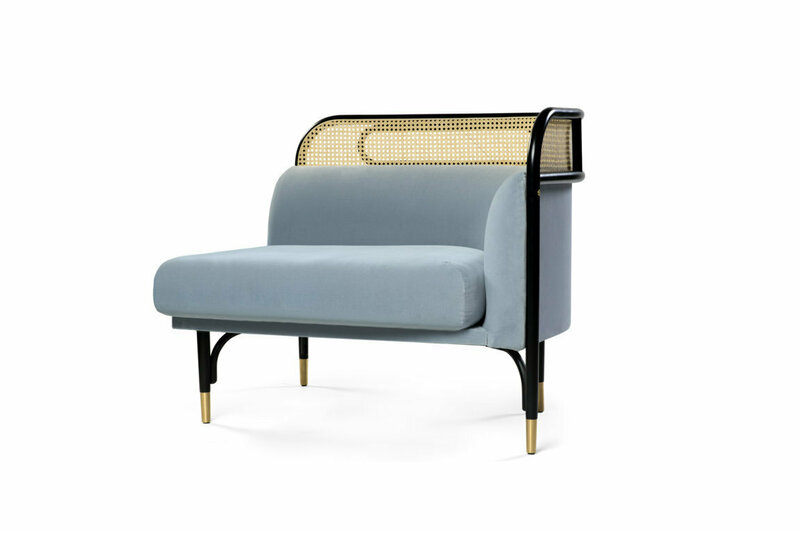 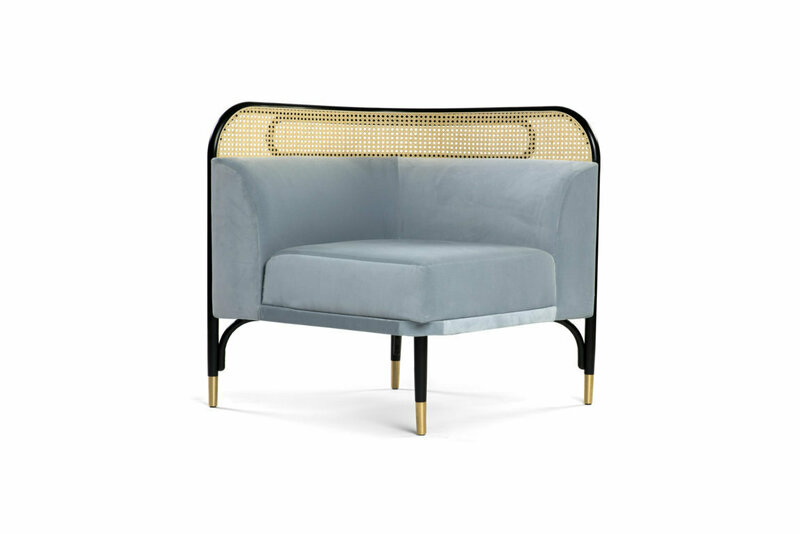 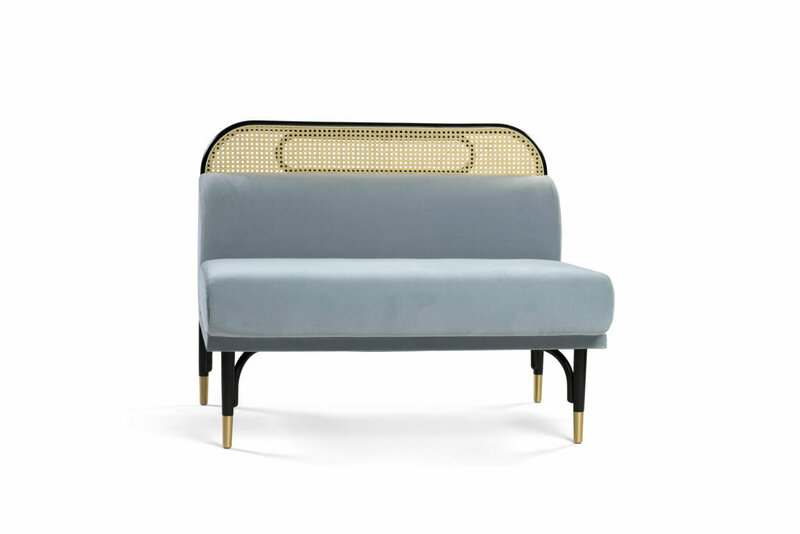 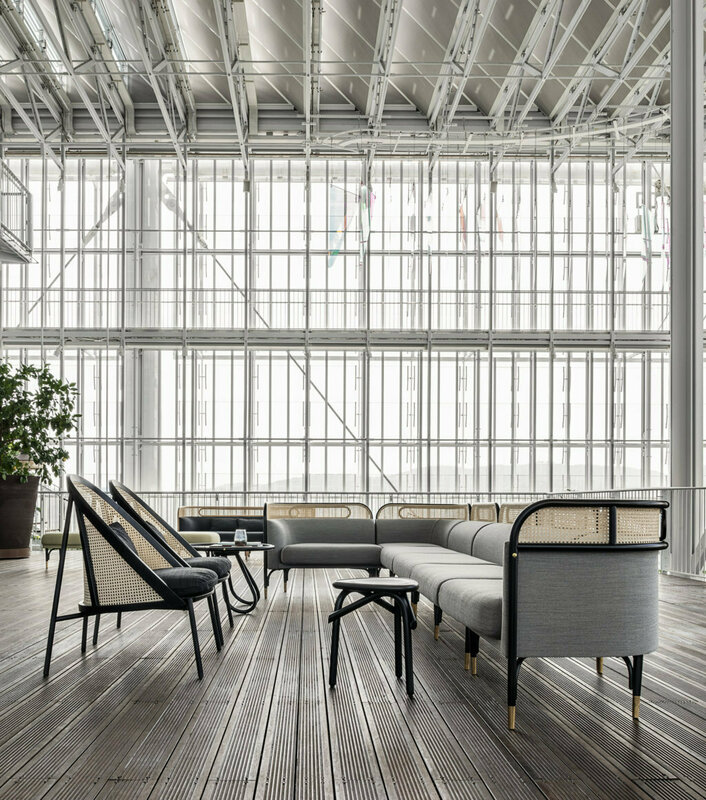 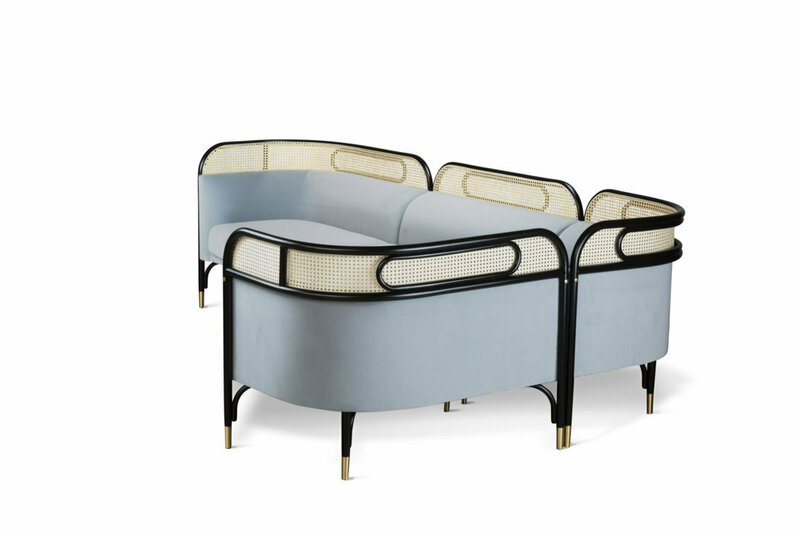 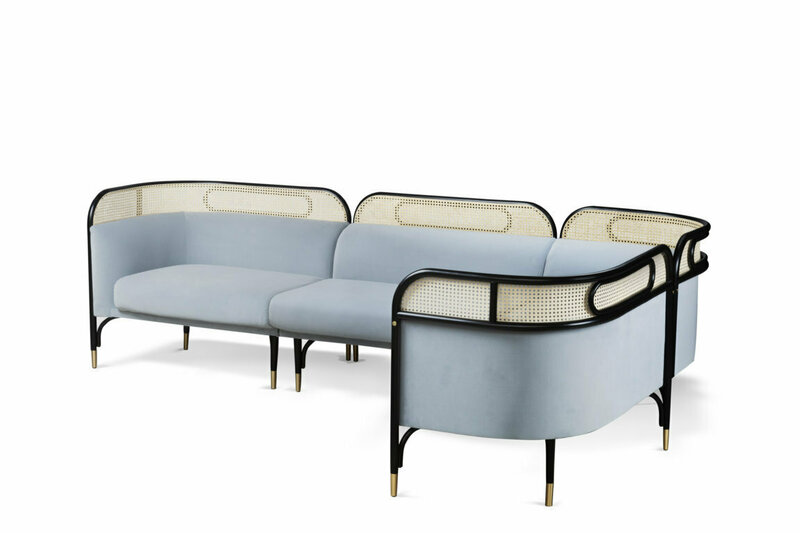 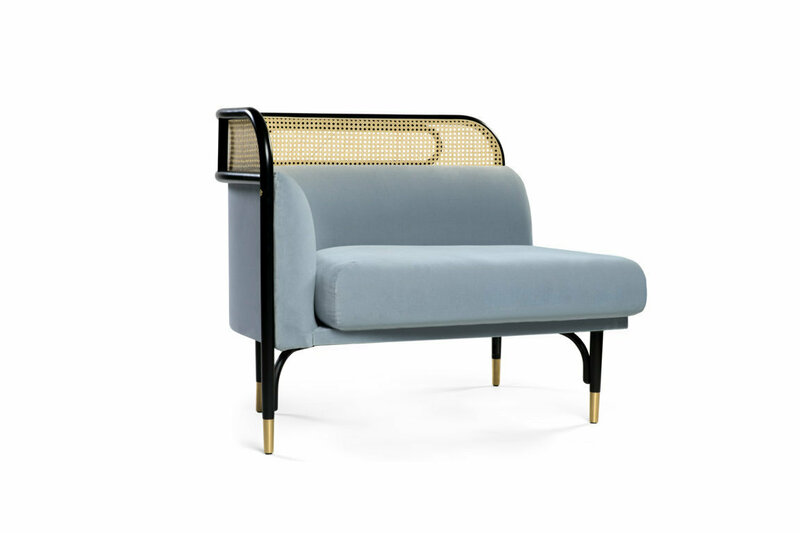 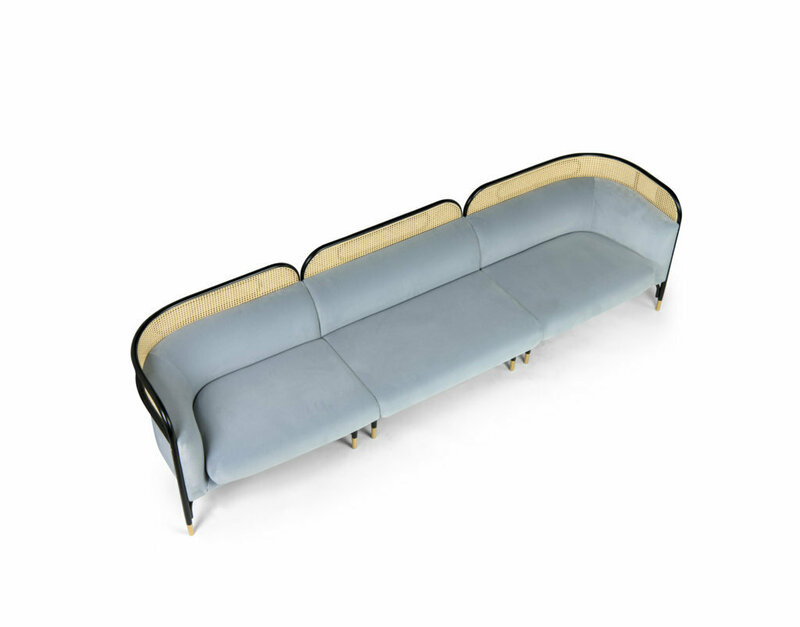 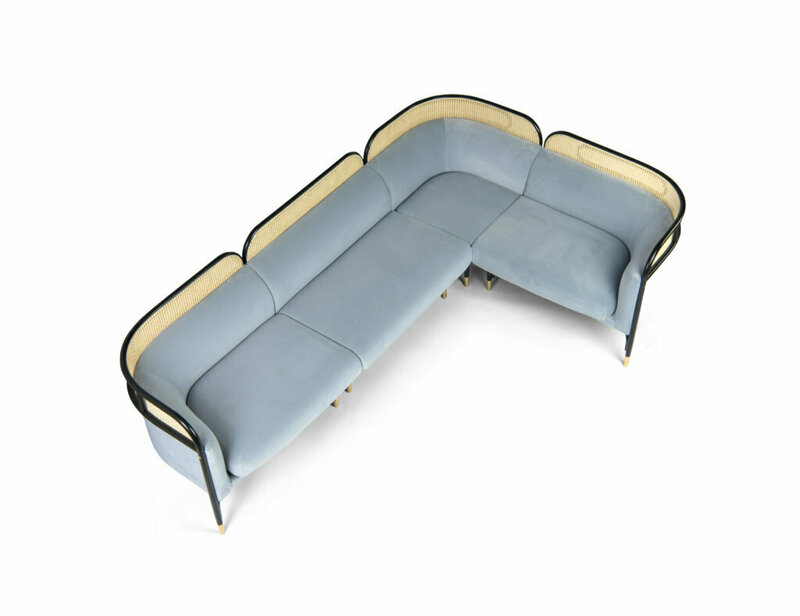 The iconic and sophisticated TARGA collection – the first family of upholstered furniture proposed by GTV in 2015, and today among the brand’s current best-sellers – is further enriched with the new modular sofa, also available in an angular version: four modules, in addition to the angle piece, consist of three one-meter components – central, right and left – to satisfy every design need. 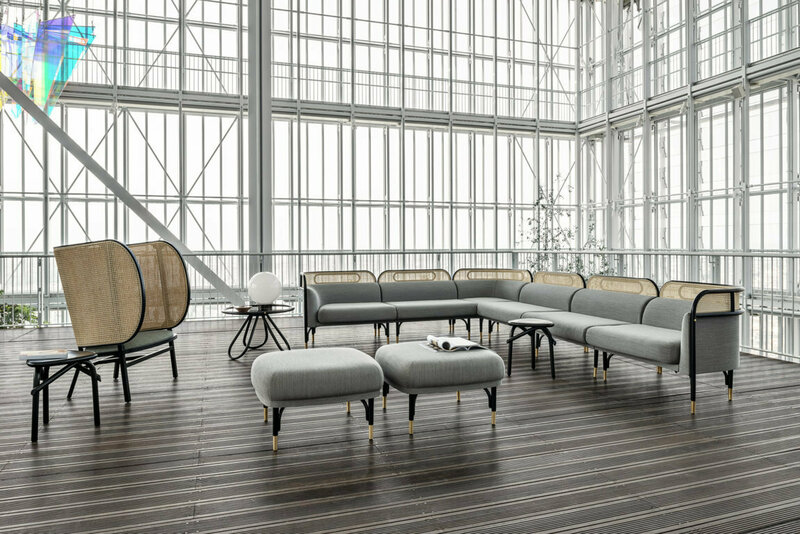 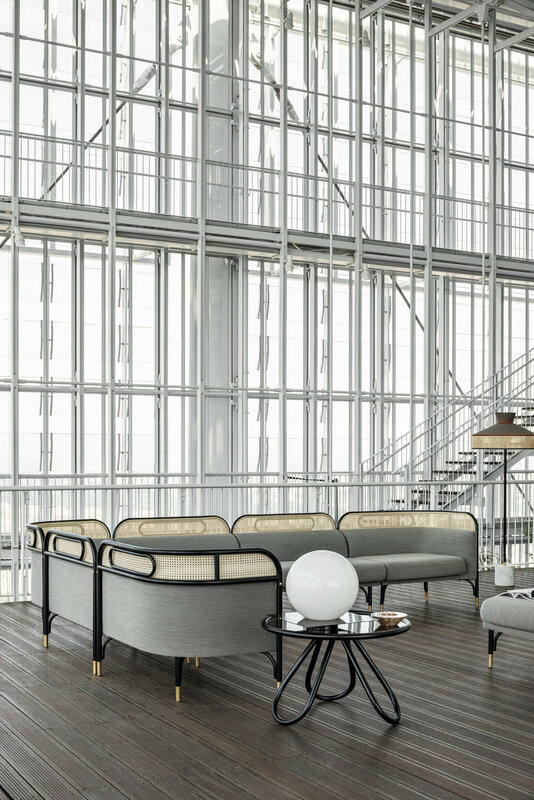 An ideal approach for furnishing elegant lounges and contract spaces intended for a more intimate and collected sociability, as well as for residential environments with an unconventional personality. 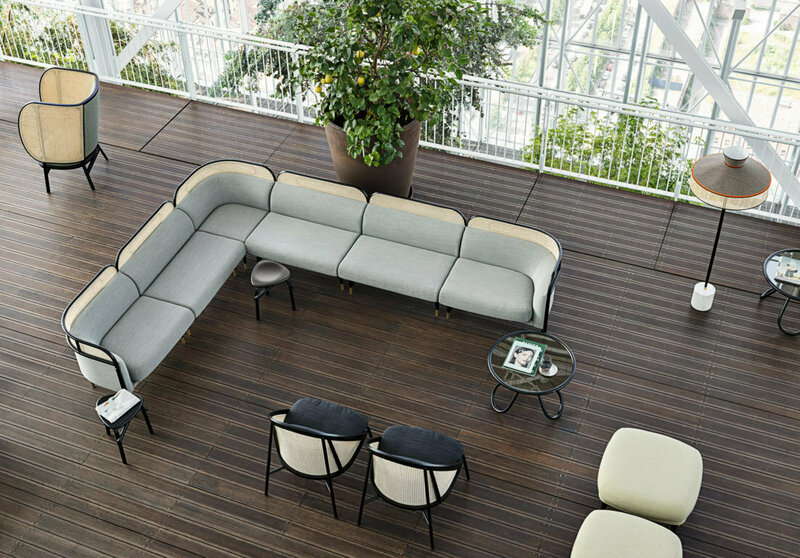 All elements of the brand’s tradition contribute to characterize the contour design: the curved beech structure supports the large seat cushion and padded back that finishes with an edge made of Vienna straw in which the ellipsoidal element is inserted, the plate, that gives the design its name.